Provided by Allen Browne, February 2008. Last updated: April 2010. JET does not have features to rank/number rows as some other SQL implementations do, so this article discusses some ways to do it. This is the easiest way to get a ranking, and also the most efficient to execute. However, tied results may not be what you expect. If the third and fourth entries are tied, it displays them as 3 and 4, where you might want 1, 2, 3, 3, 5. To add a row number to the records in a form, see Stephen Lebans Row Number. This solution has the same advantage (fast) and disadvantage (handling tied results) as the report example above. To handle tied results correctly, count the number of records that beat the current row. The first step is a query that gives a single record for whatever you are trying to rank (customers in this case.) This is the source for the ranking query, which uses a subquery to calculate how many beat the current record. The example above starts ranking at zero. Add 1 if you wish, i.e. You cannot sort by ranking. 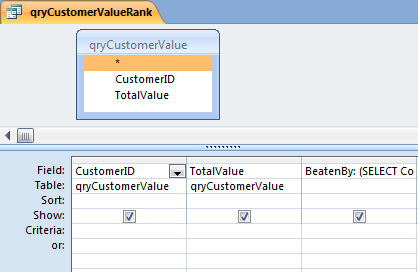 Build yet another query using qryCustomerValueRank as an input table. It is not easy to supply criteria to stacked queries. Have the query read the criteria from a form, e.g. Multi-level group-by not allowed. 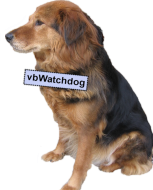 Use a DCount() expression instead of the subquery. You may need to write the query results to a temporary table so you can use them efficiently. - In Access 2007 and 2010, click Append on the Design tab of the ribbon. - In earlier versions, Append is on the Query menu. Add an AutoNumber column to the temporary table. 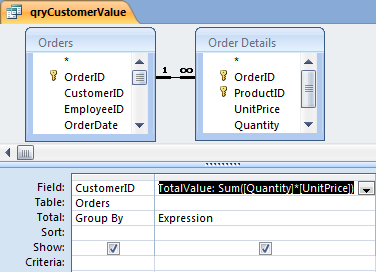 Change qryCustomerValue so it sorts Descending on the TotalValue. Change it into an Append query. To reset the AutoNumber after clearing out the temporary table, compact the database. Alternatively, reset the seed programmatically. What did you think of 'Ranking or numbering records in forms/reports'?